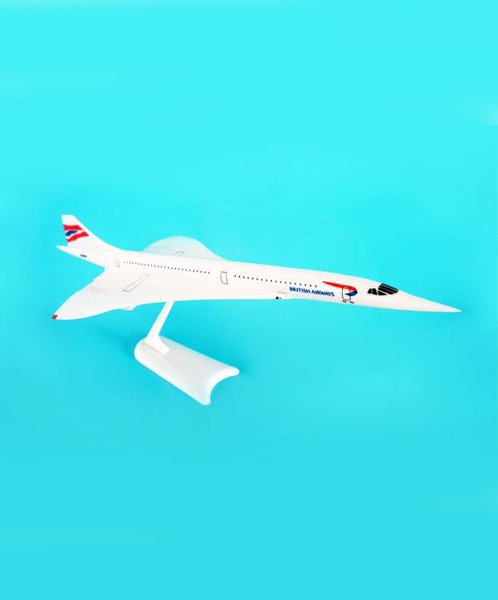 This snap-together model of the Concorde from Skymark features pad printed markings with injection molded plastic construction which does not require glue or paint. This model represents aircraft G-BOAC, sister ship to G-BOAG on display at the Museum of Flight. Length 9.75" Wingspan 5"